Not five years ago, believing that WordPress would be able to provide all the features offered by CMS specializing in the sector such as Magento or Prestashop was a mild insanity. In not even 3 years, WordPress has emerged as the essential solution in terms of eCommerce, and this thanks to the plugin WooCommerce. Who himself would not have been born without the project JigoShop which he is a fork. With the advent of a WordPress version 3.9 capable of extreme flexibility and a WooCommerce to the neat administration interface, the planet eCommerce has literally changed its face in the blink of an eye. What was improbable has come true, eCommerce can no longer do without WooCommerce. A fully fledged ecosystem has emerged around WooCommerce. There are all that could be missing at WooCommerce. Not that this is particularly necessary so WooCommerce offers an impressive level of functionality to set up an eCommerce site in no time. Adding multilingual features to a WooCommerce site seems essential to all shops, even the most modest ones. Internet allows you to deliver worldwide. Did you know that almost every second European buyer has never bought on an eCommerce site that does not speak their language? The time needed to implement a multilingual eCommerce site should not be underestimated. Choosing the right multilingual WooCommerce plugin is choosing to optimize your working time. In Brief: WPML offers us a module to its very famous WPML CMS plugin in order to support 100% WooCommerce. This plugin is called WooCommerce Multilingual. With a name like that, we both suspect what he is going to do, and we are dealing with the very first multilingual WooCommerce plugin on the market, and still operational. 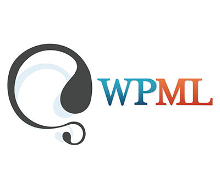 WPML has been specializing in multilingual WordPress sites for many years. A multilingual WooCommerce site? This is his specialty, no need to search. But by the way … What is a multilingual WooCommerce site? Multilingual WooCommerce? Why ? How? Basically, we are talking about allowing WooCommerce to be multilingual. But what are we talking about exactly? Let’s find out what we can expect from a very good translation and multilingual management plugin for WooCommerce. I like to push open doors :)But before being a plugin for WooCommerce, the plugin that you will remember to make your multilingual site must first and foremost be compatible with WordPress. I had warned … open door … Cough … Said like that, it may sound a little silly. But think about it for a second. After all, your WordPress installation might not be as classic as it might seem at first glance. An example that we meet very often: the support of WordPress multisite version. Ok, this does not concern everyone, but it shows that before thinking about the support of WooCommerce, we must ask the question of support for WordPress itself. I would even say support for your WordPress. Another plugin could come to stir up trouble like security plugins for example. Either say by the way: all the plugins allowing WooCommerce to have multilingual functionalities are very far from supporting WordPress in multisite version. Be careful if like us you are fond of this configuration of WordPress. How many languages can we have? How does the translation appear in the back office? Does the plugin manage different currencies by language? Does the plugin provide accurate tracking of what is being translated, being translated, and not translated? Will the purchase tunnel be located in the language of the user? Do transactional emails arrive in the user’s language? Offering a multilingual plugin is much more than offering to translate product listings when it comes to WooCommerce. The support of multilingual WooCommerce requires a real integration pushed that very few plugins can claim to do well and 100%. It may seem like nothing. But have you ever thought that it is possible to be forced to download for each version of the language of a product, the set of associated images? If we have ten products on our site, that’s not a big deal. But if we have 200 products and each product has between three and five images, I let you imagine the organizational nightmares that this is. The best ? Choose a multilingual WooCommerce plugin that intelligently manages the media associated with your WooCommerce products. Now let’s talk about the natural SEO of your WooCommerce eCommerce Store. It’s a safe bet that even if this is not your main objective, the translation of your WooComerce site will be made with the idea of increasing your SEO; at least a little bit. What if using a multilingual WooCommerce plugin would not help you, but ravage your SEO work? Ensuring that SEO is a major focus for teams behind the multilingual WooCommerce plugin that you choose is definitely essential. Before being a WooCommerce plugin, any plugin is a WordPress plugin. I already said it. But it goes beyond what you may have thought. It will be necessary that this plugin is able to interact with all the plugins which will themselves interact on your WooCommerce and WordPress more broadly. To return to SEO, a good multilingual WooCommerce plugin should allow us to continue using any SEO plugins for WordPress, and this by language. this work can not be done by the teams responsible for the plugin in question. It is up to the community to choose who they will support. In this little game, only WPML gets away with the congratulations of the jury. If we have to count all the plugins that make up the WooCommerce universe in terms of interoperability, we must also consider the text output created by the plugins themselves. It is essential that your WooCommerce plugin allow you to come and translate these strings without opening the source code of the plugin in question. You think you’ve finally found the WordPress theme that matched what you’ve been looking for for so long. You install it. You also decide to make your shop a multilingual WooCommerce shop. And there, disaster, your plugin and your theme are not compatible. Why ? Because as for the plugins, it is the developer of the theme to ensure that the plugin is 100% supported. Advanced support for a particular plugin is guaranteed to have a plug’n play feature. Look closely, you will find that almost all market themes are officially compatible with WPML. That’s it to ensure the best multilingual plugin for WordPress for years. What if your plugin did more than “just” to make your site WooCommerce multilingual? And if he could offer you more. Creating a new type of user for more security and simplicity: translators. In brief: WPML took years of advances in multilingual management under WooCommerce and even more strongly on WordPress in general. With this in mind, WPML offers us with WooCommerce Multilingual a plugin that ensures everything that a good multilingual plugin should know how to do well. In addition to this, it offers us access to advanced features particularly valuable. WooCommerce Multilingual offers a real multilingual administration interface to WooCommerce. Where to host your WooCommerce site? WooCommerce Hosting : A WooCommerce site must always be at the top of its performance and accessibility. Your web hosting is at the heart of these two important issues. Choosing the right host is essential. Did you know that there are fully thought-out and secure hosts for WooCommerce? Help you make the choice of hosting WooCommerce that provides. Which plugins and themes for WooCommerce? WooCommerce themes and plugins: A WooCommerce site must always be at the top of its performance and accessibility. Your web hosting is at the heart of these two important issues. Choosing the right host is essential. Did you know that there are fully thought-out and secure hosts for WooCommerce?